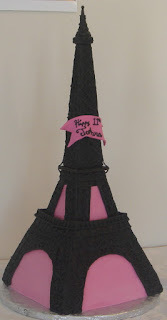 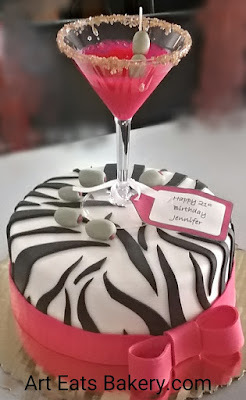 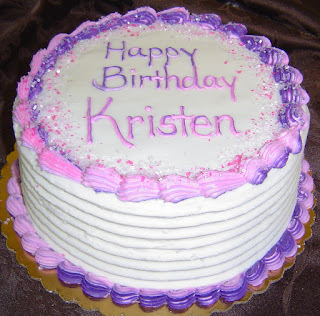 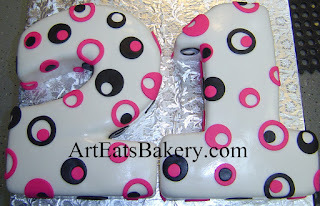 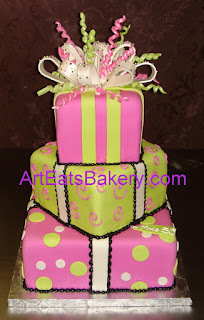 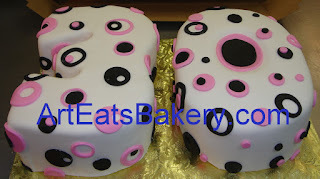 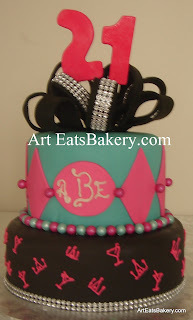 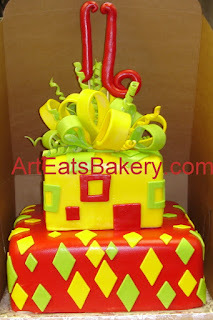 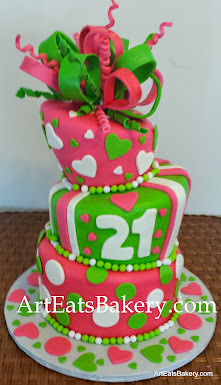 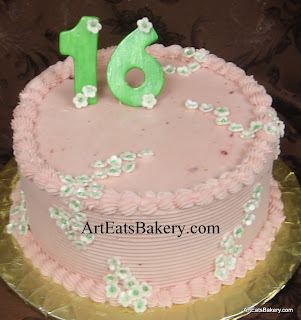 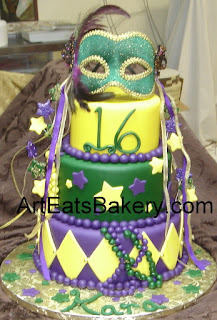 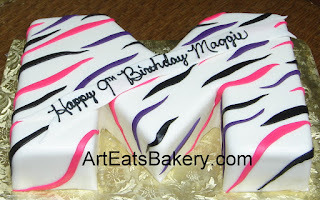 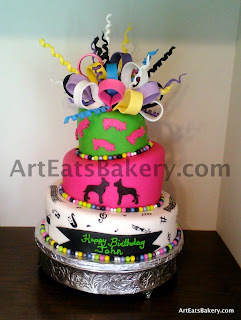 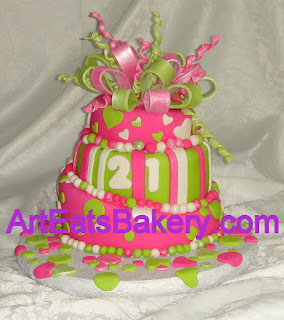 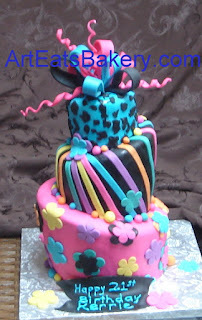 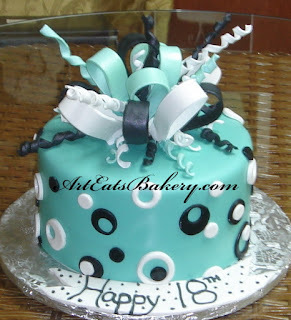 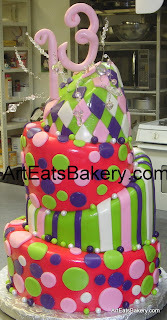 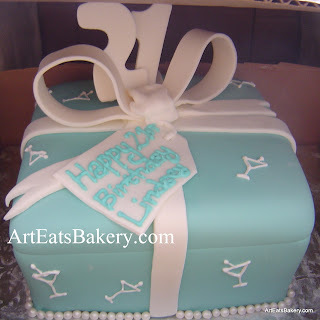 These are gorgeous, modern, beautiful and fun ideas for women and teen birthday cakes. 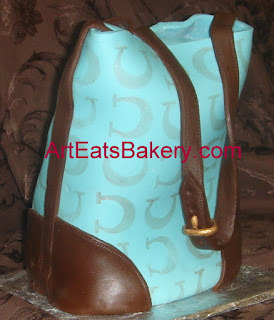 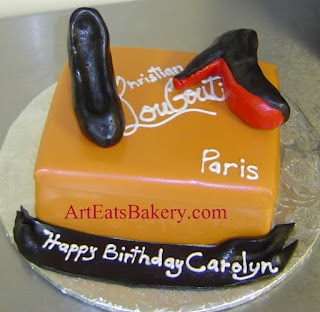 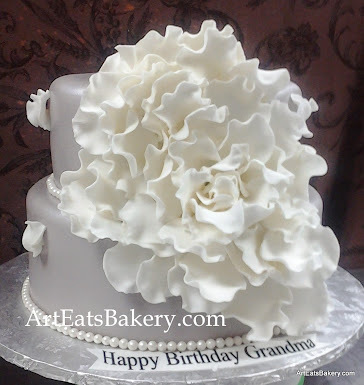 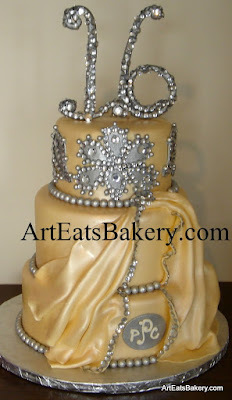 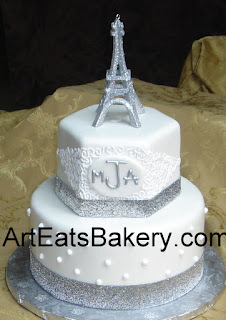 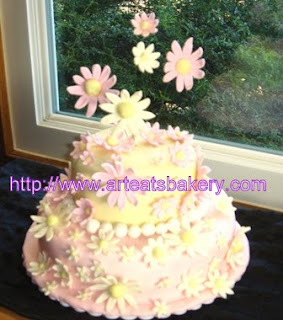 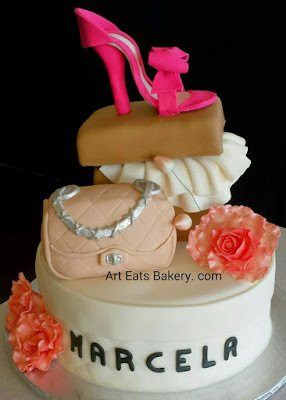 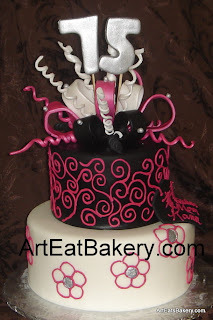 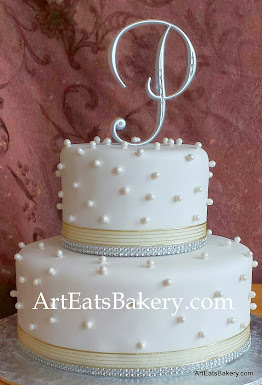 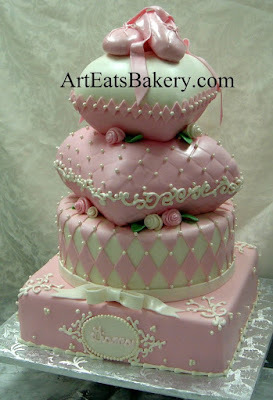 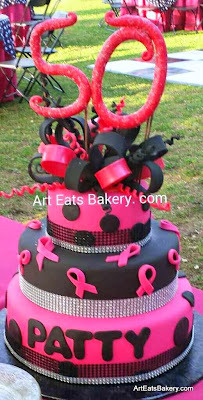 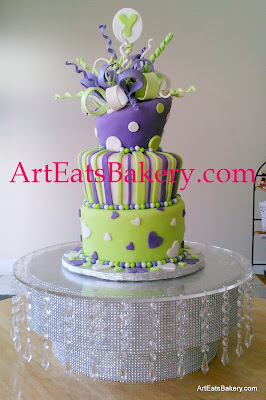 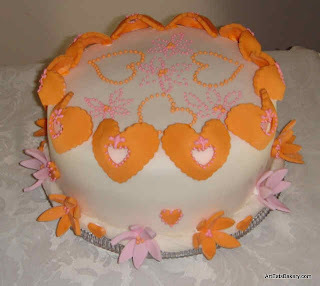 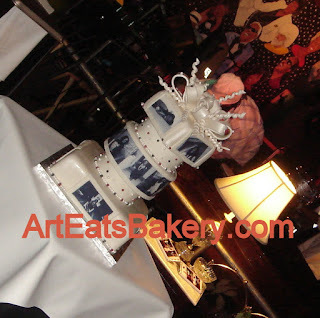 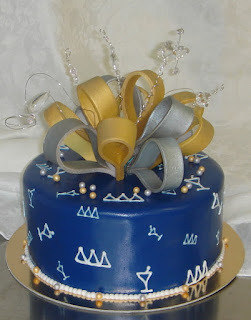 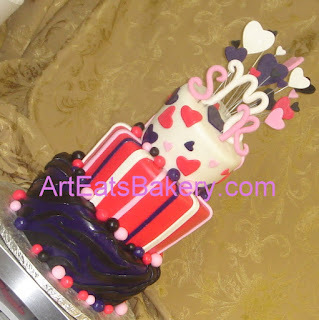 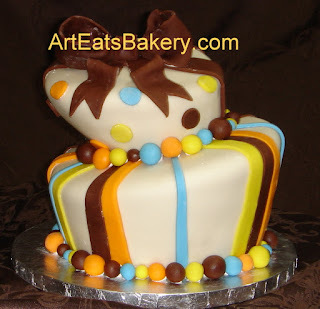 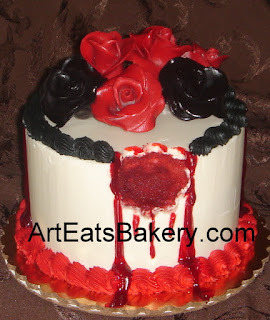 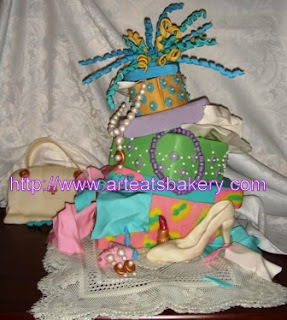 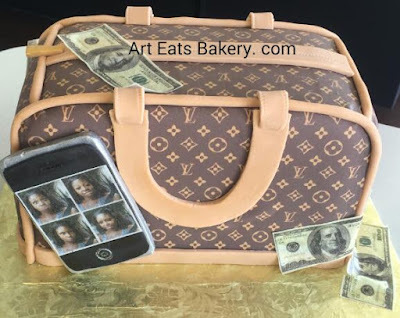 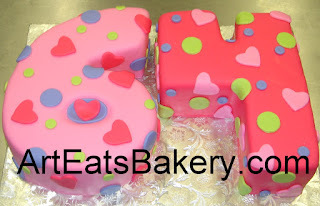 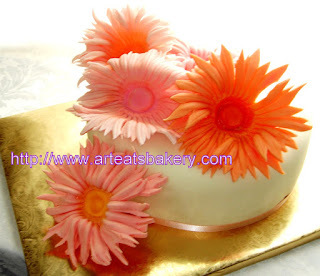 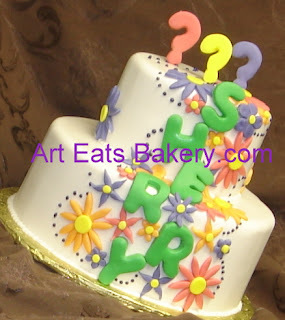 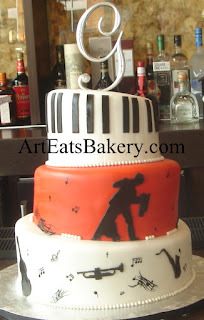 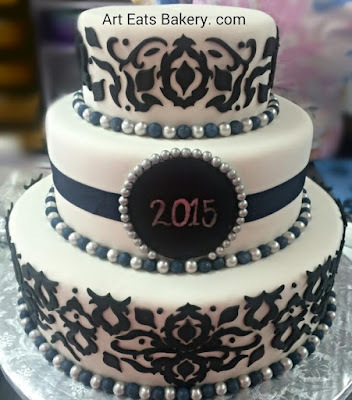 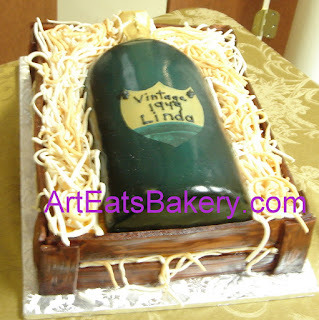 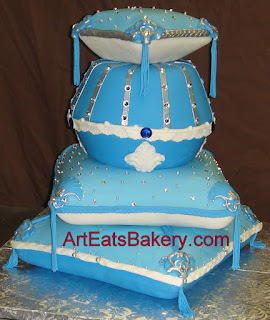 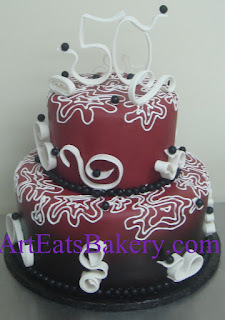 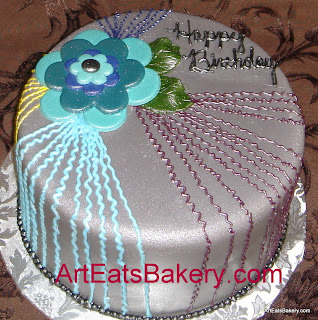 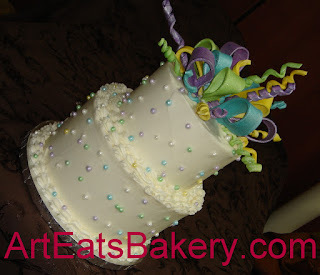 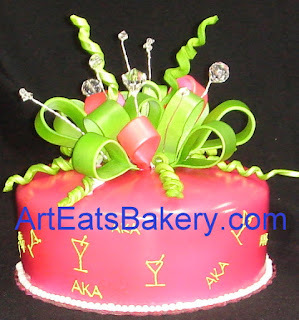 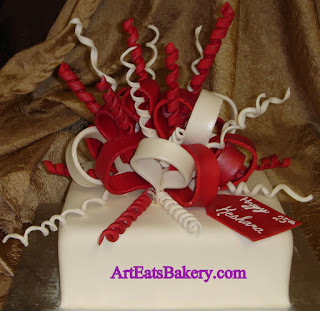 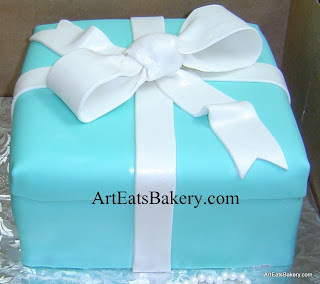 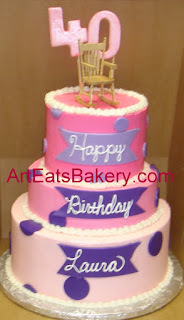 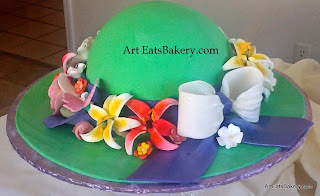 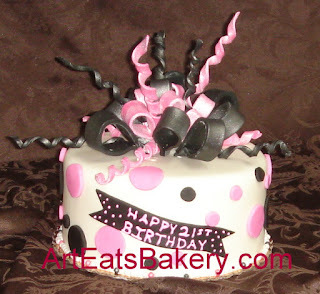 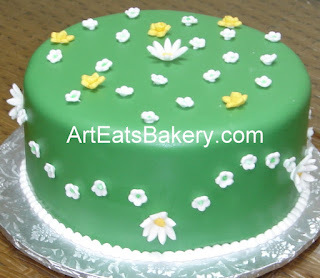 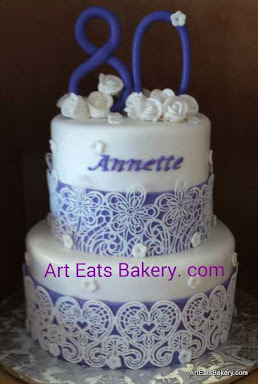 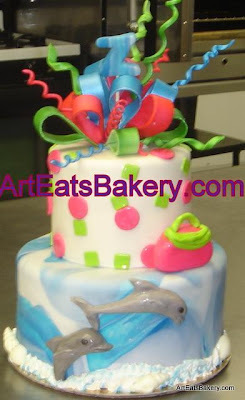 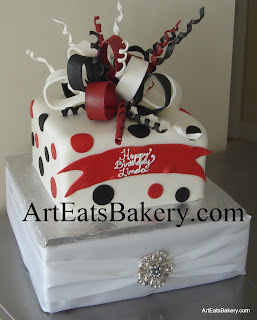 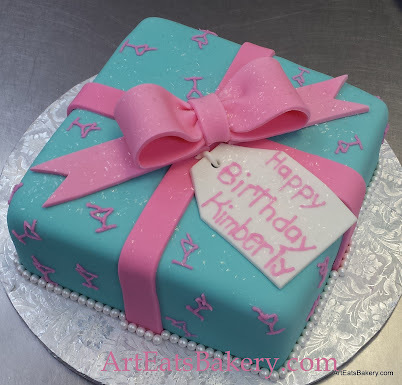 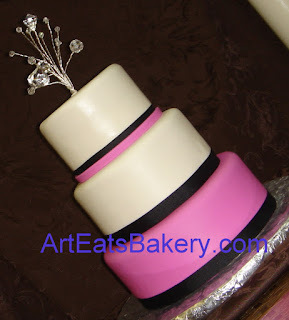 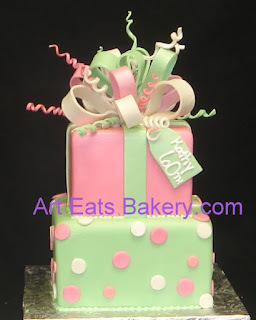 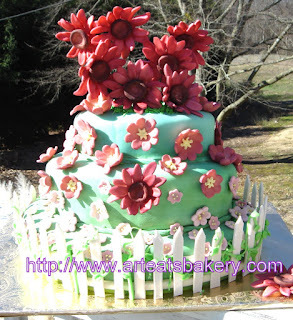 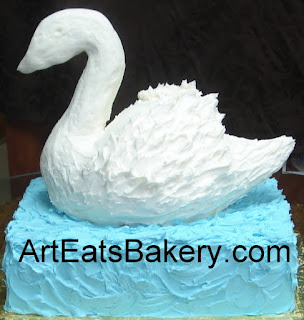 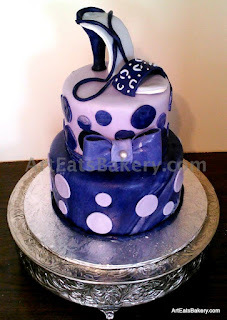 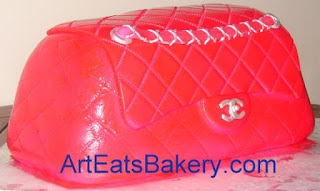 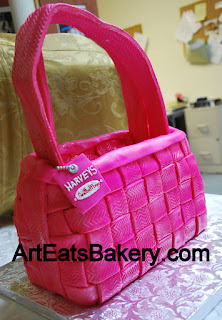 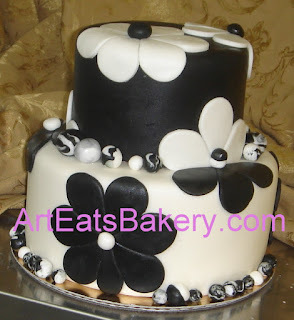 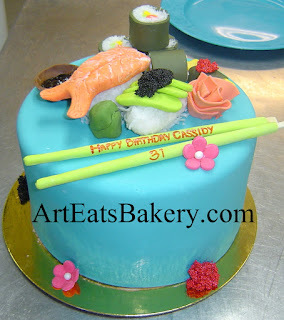 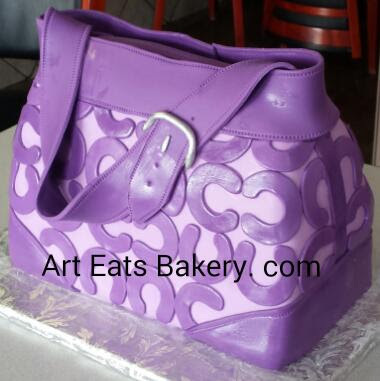 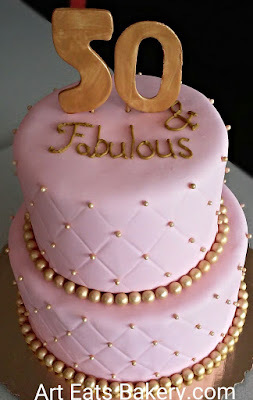 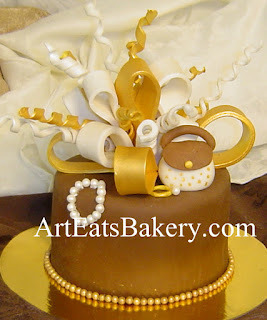 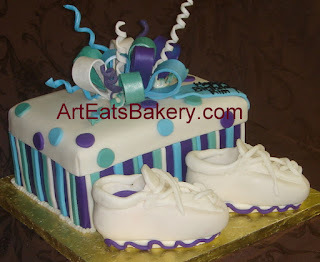 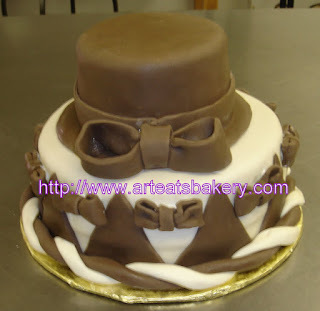 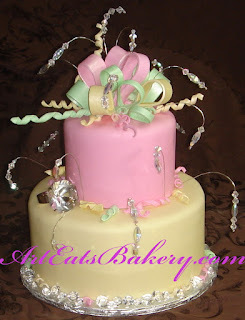 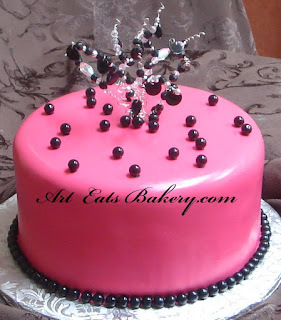 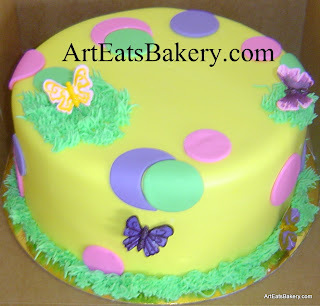 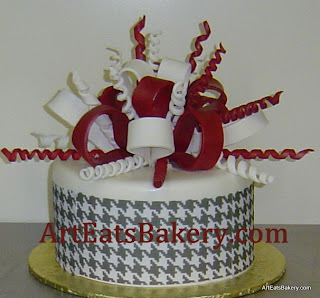 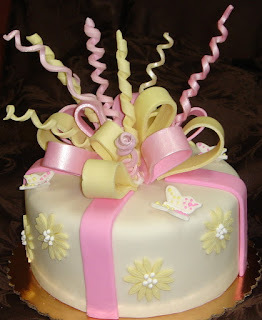 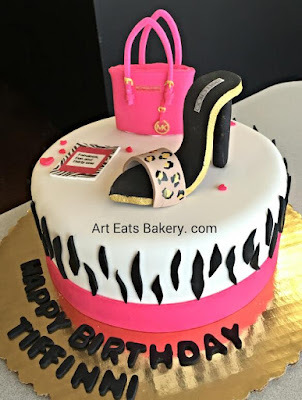 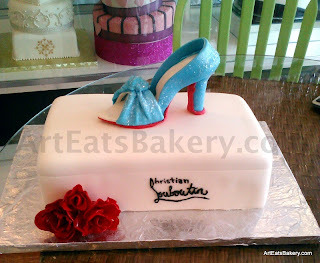 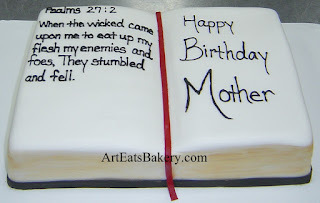 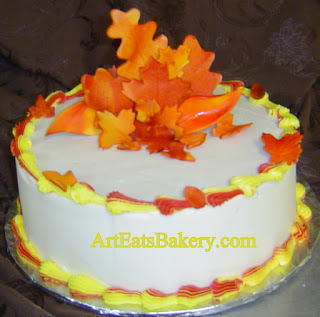 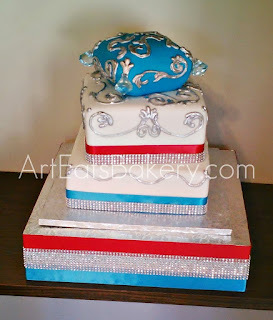 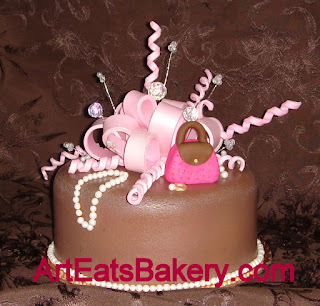 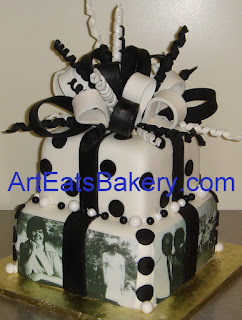 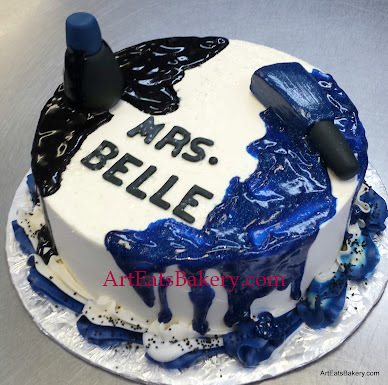 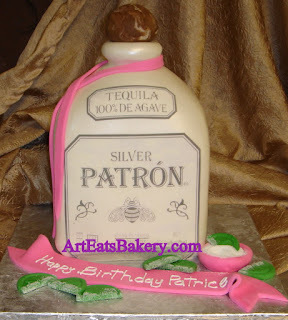 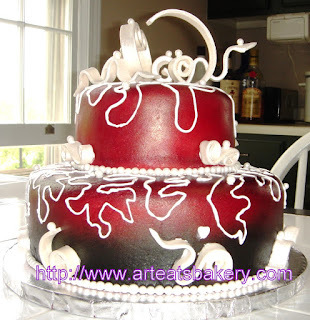 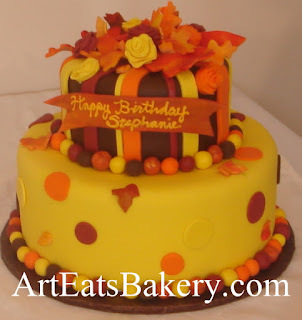 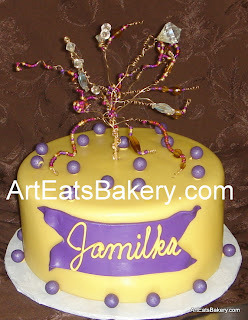 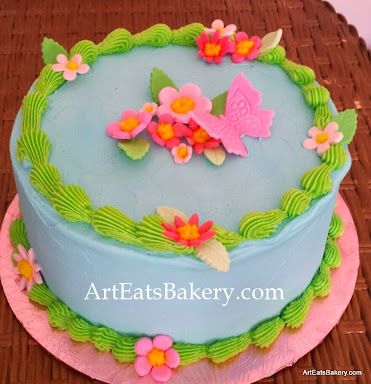 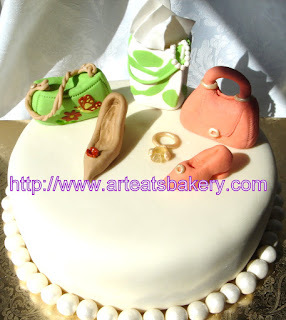 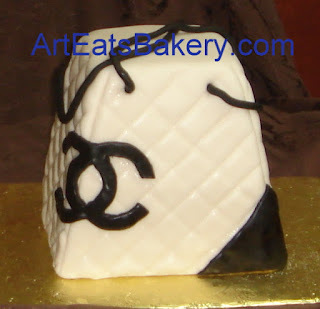 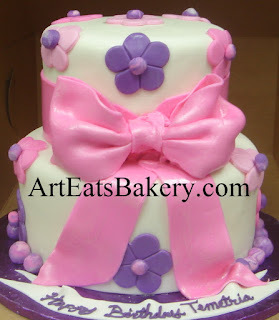 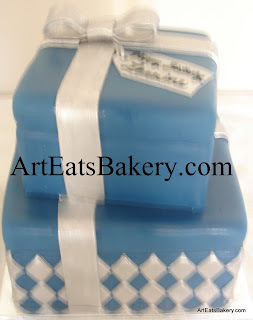 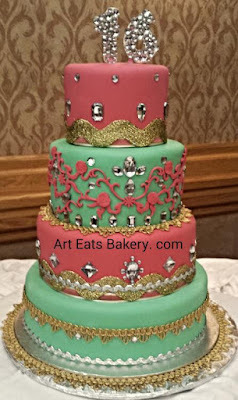 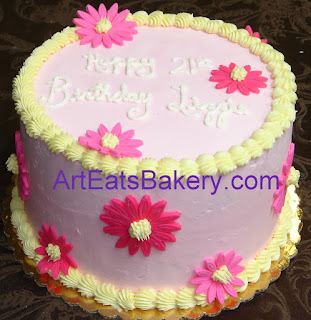 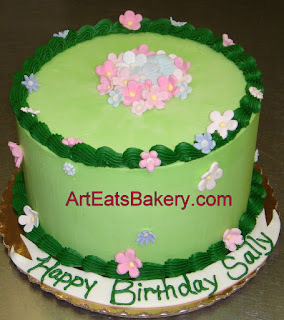 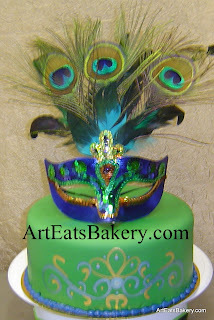 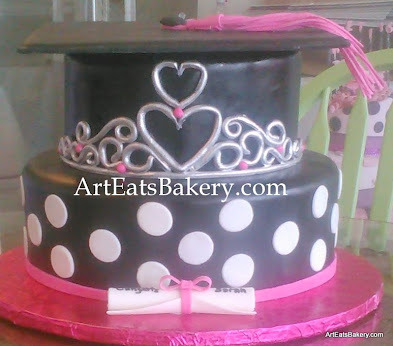 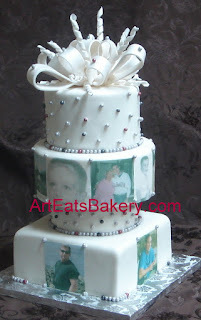 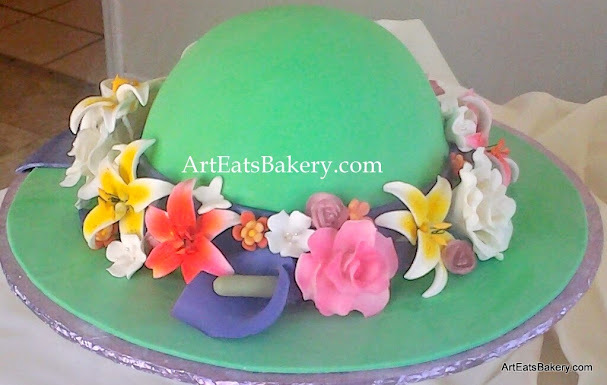 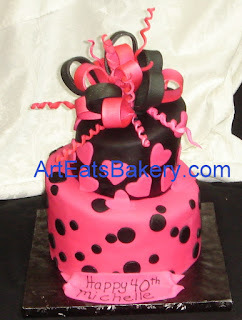 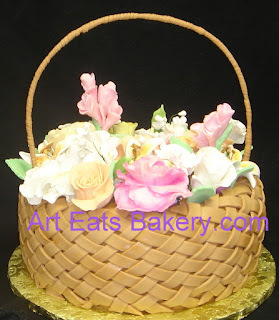 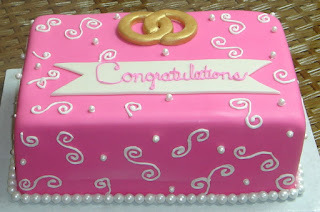 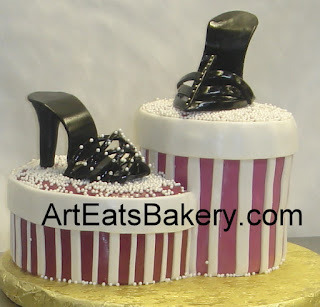 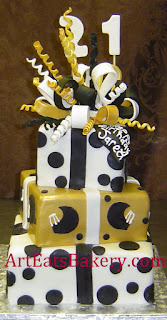 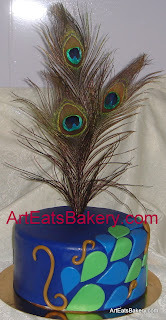 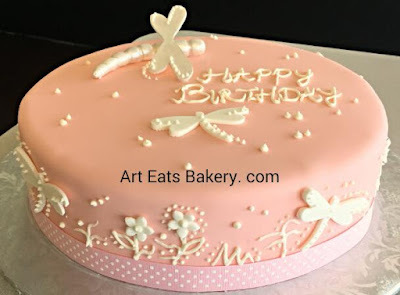 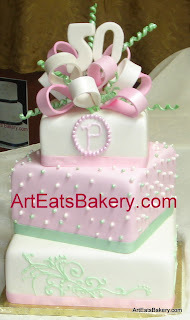 We love creating Edible jewelry, shoes, flowers, purses, and many other designs to add the finishing touch to that special lady's day with one of our cakes. 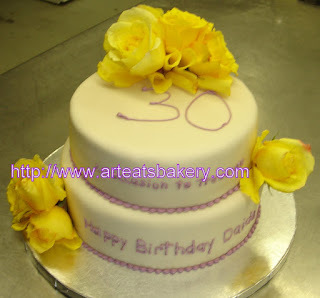 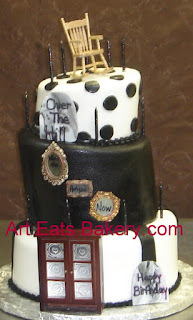 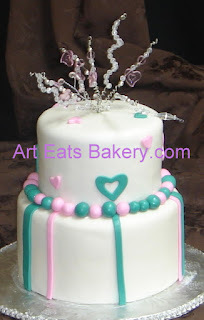 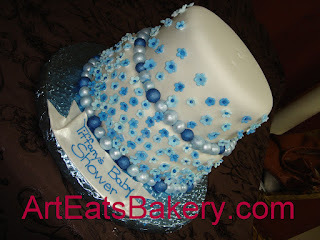 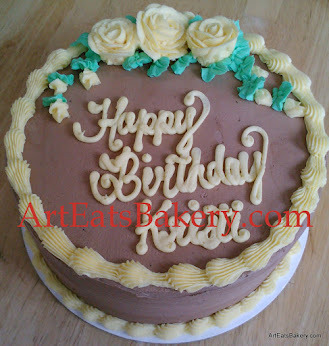 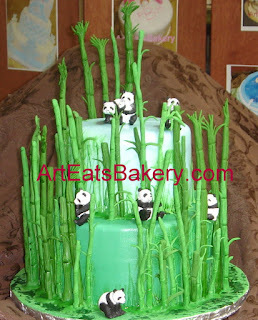 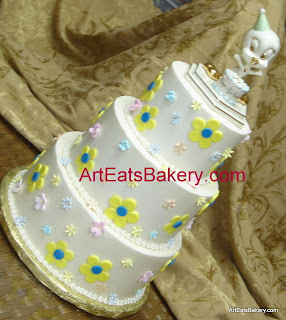 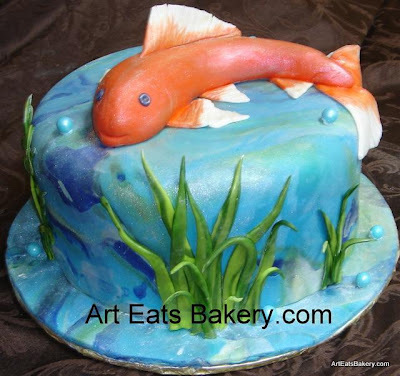 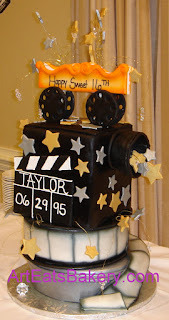 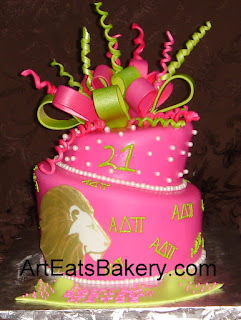 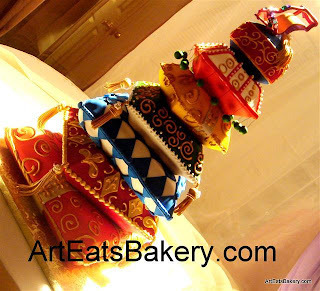 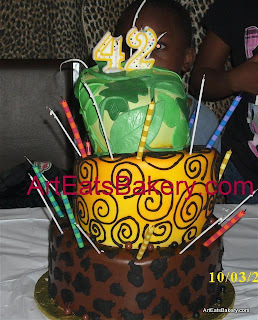 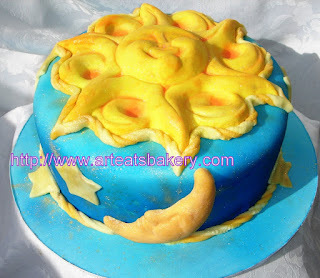 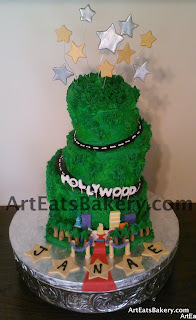 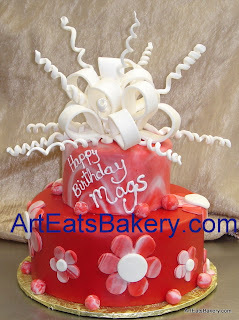 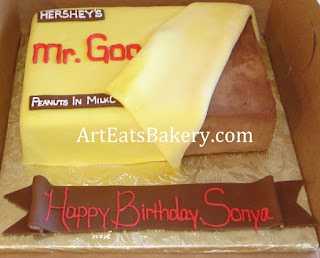 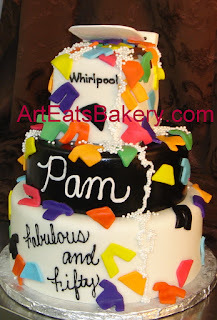 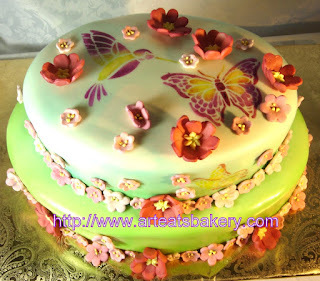 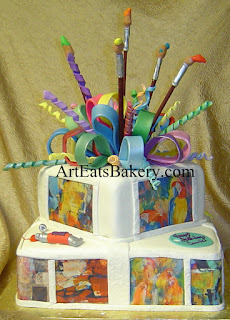 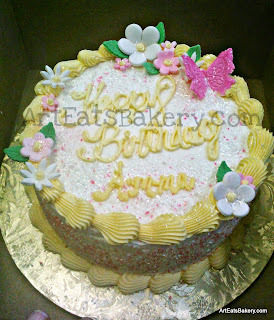 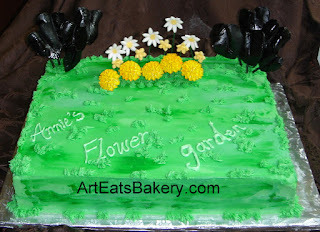 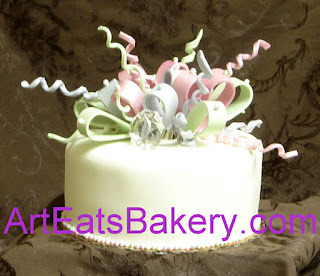 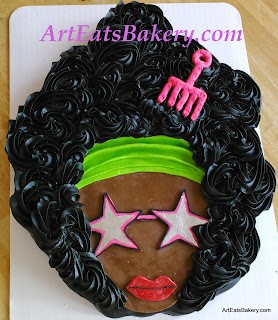 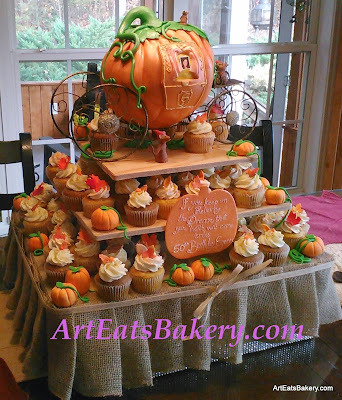 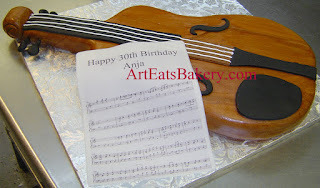 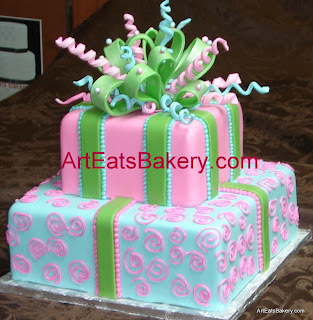 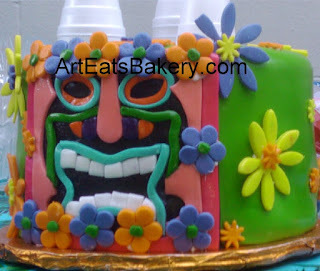 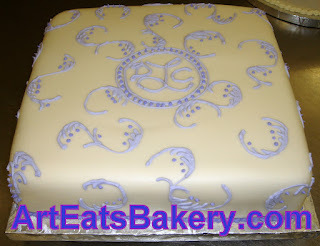 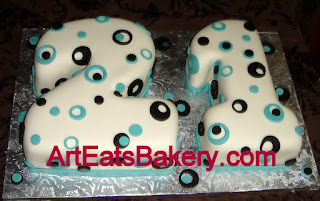 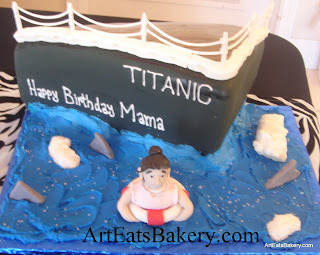 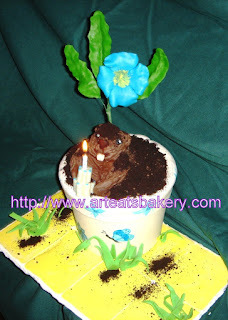 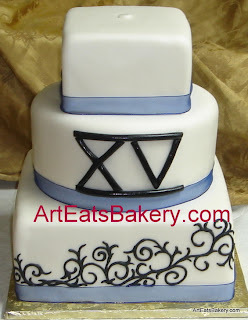 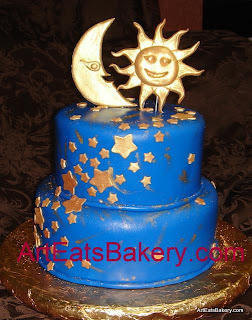 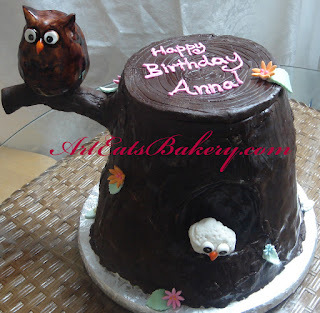 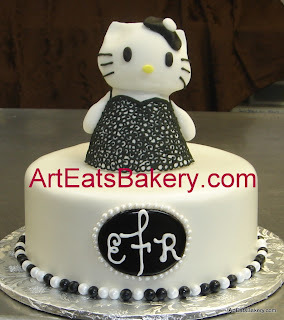 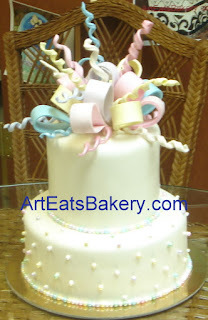 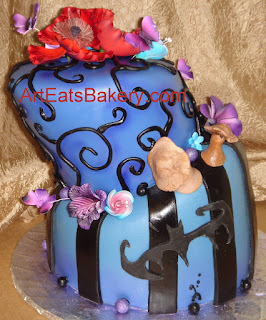 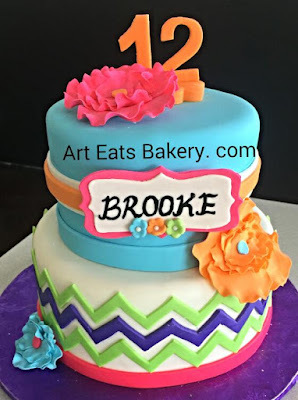 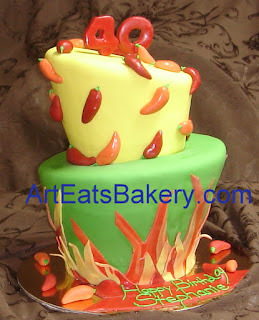 All of these designs work for both birthday cakes and bridal shower cakes. 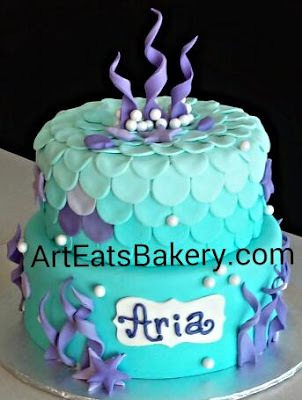 Custom 19th birthday cake with gold sea weed, pearls, and ombré aqua "mermaid scale" ruffles.